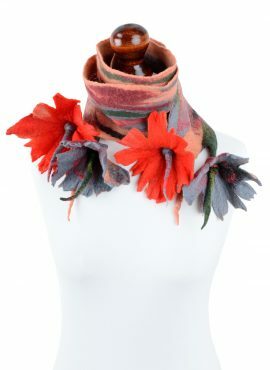 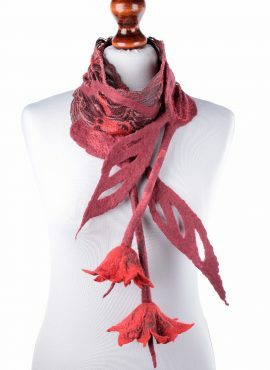 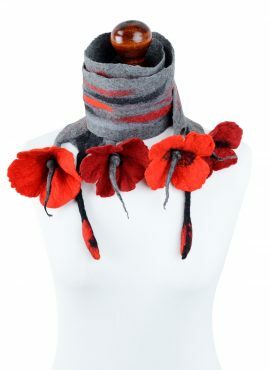 This felted flower scarf has a beautiful salmon color. 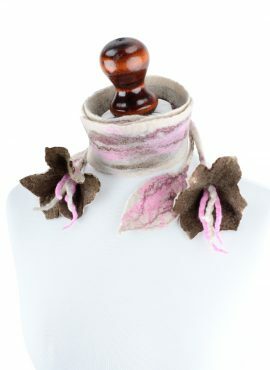 It is very feminine and will give you a charm that you will not find anywhere else. 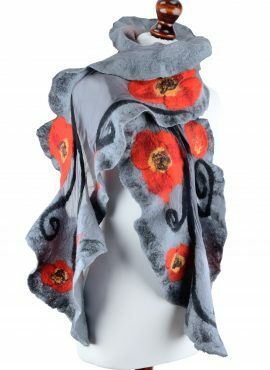 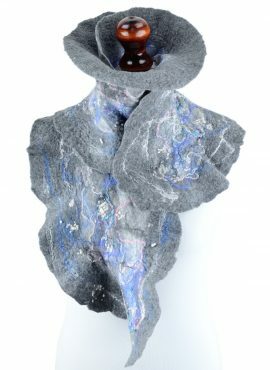 Gray nuno felt scarf with beautiful texture. 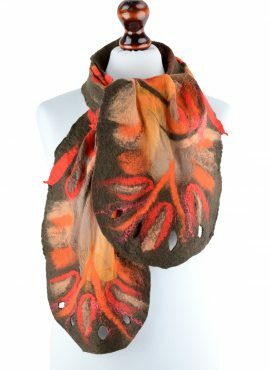 A piece of wearable art designed for elegant women. 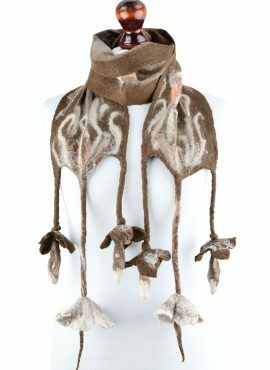 Chic and moderate in the same time. 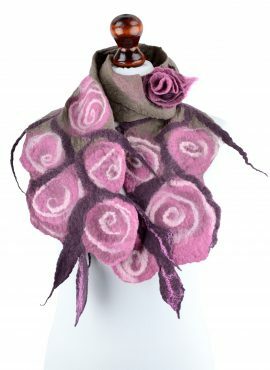 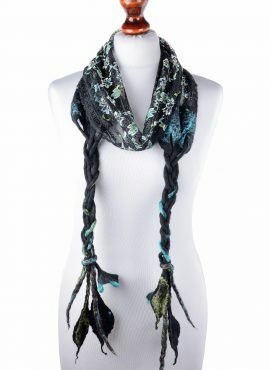 This romantic flower scarf has beautiful lilac color and is designed for women and teenage girls. 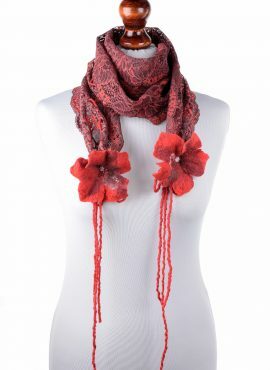 It will make you look feminine and lovely. 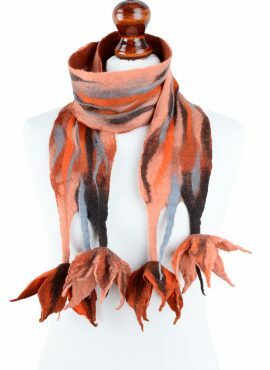 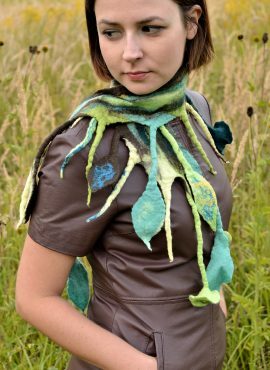 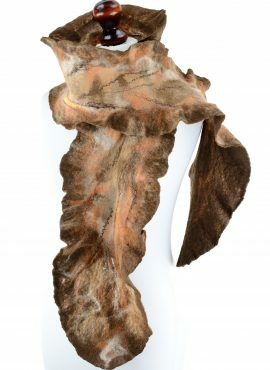 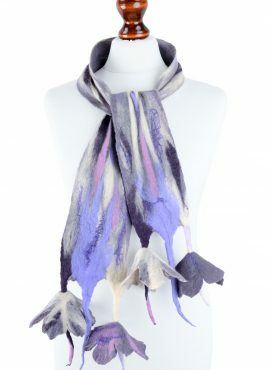 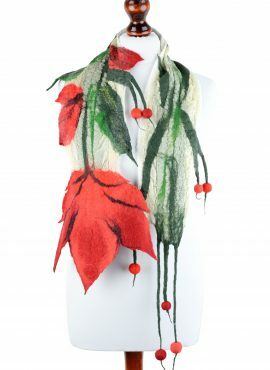 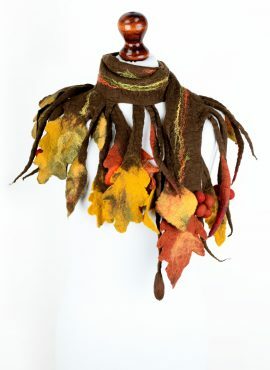 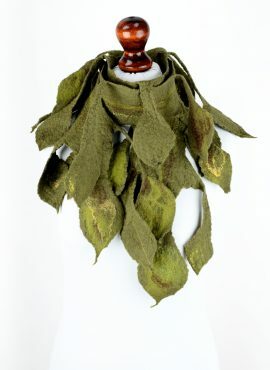 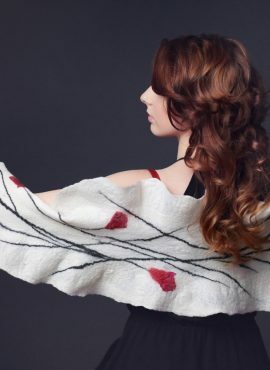 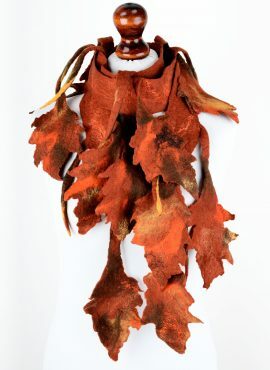 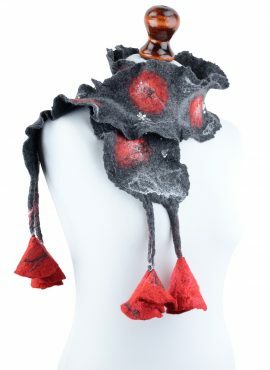 This felted fall scarf is very impressive. 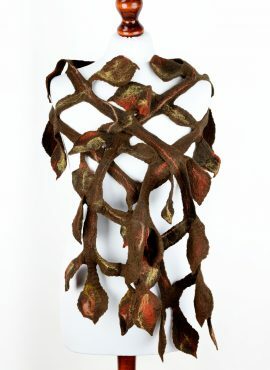 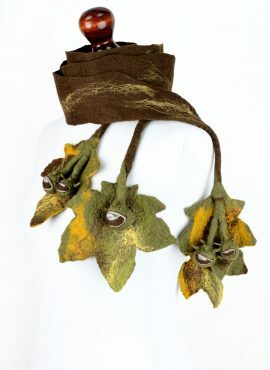 Natural materials make it breathable and its copper flowers will make you look amazing in the autumn.